Unsightly stumps can ruin your curb appeal. Stump grinding and stump removal are both excellent options. After a tree is removed from your lawn, you can choose to have us perform our stump grinding service. This is a service where we grind down the tree so that the homeowner can use it for other purposes, or to merely improve the look of the yard. We use equipment that grinds away the stump from the ground. We observe all mandatory safety precautions when using these machines. The heavy duty grinders allow for a quick removal of any stump, no matter how big or small. We know that having your stump grinded away will be an extra cost, but there are many reasons why you should choose to get that stump removed. Simply put, stumps are not very appealing to the eye, if you want a pristine looking yard, we recommend getting the stump removed. 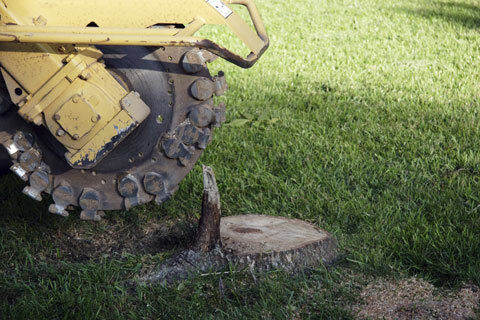 Both stump griding and stump removal can be performed quickly and affordably. 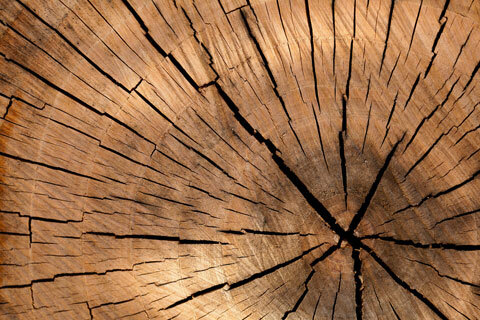 ARE TREE STUMPS A SAFETY LIABILITY? Absolutely, a stump in the yard can be a danger for young children at play, or even an unsuspecting adult who happens to trip over it. Both stump grinding and stump removal will clear the obstruction and eliminate the potential for accidents. Tree stump removal usually happens on the same day as the removal of main obstruction, to avoid increasing costs. How deep can a stump be ground? There is no limit to how deep we can grind. The choice is up to customer and determined by the final look and purpose of the stump. For example, if the customer is looking to replant a new tree, we must get rid of more of the existing trunk, than if the stump was going to be used as a support beam when building a deck. Complete stump removal is the most complete way to clear the area for future projects. Tree stump removal depends on the size and how deep the stump is being ground. For more information regarding stump grinding and stump removal services give us a call today at (647) 559-1764.